Erik Wm. Suter, a native of Chicago, is a musician of international acclaim. 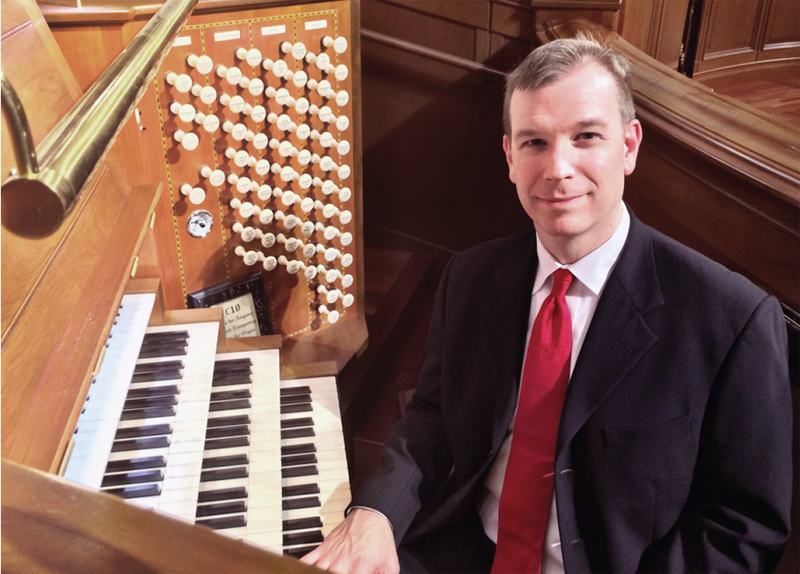 For nearly 10 years, he served as Organist at Washington National Cathedral in Washington, DC. He holds degrees from Oberlin Conservatory and Yale University, where he studied with Haskell Thomson and Thomas Murray, respectively. Previously, he held positions at Trinity Church, Copley Square, and at the Parish of All Saints, both in Boston; and at Trinity Church-on-the-Green in New Haven, Connecticut. Mr. Suter has performed extensively throughout the United States and Canada as well as many Asian and European countries. Notable venues have included Grace Cathedral in San Francisco, The Cathedral of Saint John the Divine in New York City, Saint Thomas Church in New York City, Eton College Chapel in the UK, Uppsala and Stockholm Cathedrals in Sweden, Lisbon Cathedral, Musashino Shimin Bunka Kaikan in Tokyo, Saint James Cathedral in Toronto, Saint Philip’s Cathedral in Atlanta, Methuen Music Hall in Massachusetts, and First Congregational Church in Los Angeles. In 2003, he was invited to be the first American to perform on the Fisk organ in Lausanne Cathedral in Switzerland, the first American organ in a European Cathedral. He has performed at national conventions of the American Guild of Organists and the Organ Historical Society. As a continuo artist, he has appeared with The Philadelphia Orchestra and National Symphony Orchestra. Mr. Suter has been under the exclusive concert management of Karen McFarlane Artists, Inc.
Mr. Suter won first prize in the 1991 Conrad Sulzer Young Artist’s Piano Competition in Chicago; first prize in the 1993 Chicago American Guild of Organists Young Organist’s Competition; first prize in the 1995 National Undergraduate Organ Competition in Iowa; the Gold Medal of the Mayor of Musashino/Tokyo in the 1996 International Organ Competition in Japan; and first prize in the 1997 Yale Biennial Organ Competition. He was a two-time finalist in the prestigious AGO National Young Artists Competition in Organ Playing as well as appearing in the finals of the 1997 Dallas International Organ Competition. Mr. Suter has been featured numerous times on the nationally syndicated American Public Media show Pipedreams. His recordings, including 5 solo compact discs, can be found on the JAV Recordings, Gothic, and Pro Organo labels. Mr. Suter is a commercial pilot and flight instructor. Based at Washington National Airport, he is a captain on the Canadair Regional Jet flying for American Eagle. He lives in Gaithersburg, Maryland with his wife and son.